Meet Henry, my obsession du jour. 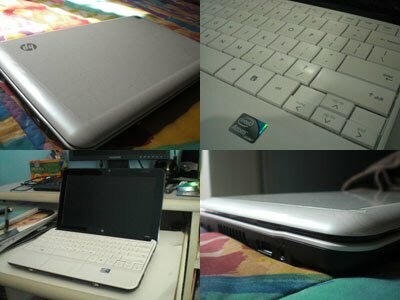 A 10.1″ HP mini-notebook I bought last Christmas. It took me quite a while because I was thinking of so many things such as the size, the brand, and the price. I decided on a netbook because it’s light, it’s cute (it has a cool swirl design on the cover), and meets all my needs as a writer, student, editor, and all around internet bum. Besides, I have a desktop for heavy duty tasks that little Henry can’t do. I was hoping for a Toshiba but a netbook with the same specifications cost a lot more. So far, Henry performs great and I’m in the process of installing much needed programs like iTunes, Limewire, Microsoft Office, and Photoshop. This isn't official yet, but you may have just supported racism when you bought your HP netbook. Um, okay? Are you even sure it's because he's black? It could be a glitch or something. And I did not purchase an HP computer to support racism.